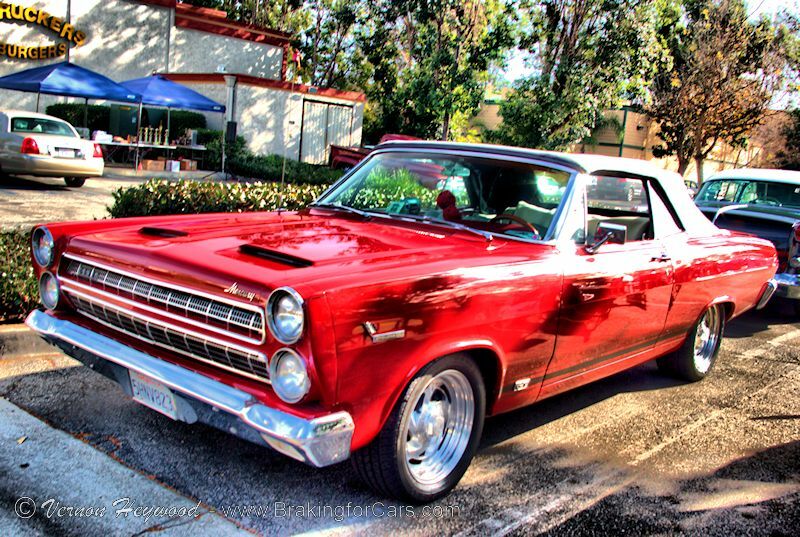 1966 Mercury Comet Cyclone GT convertible, a great way to watch the night sky… for other types of comets. Comet Lovejoy is currently streaking across the heavens in the night sky over the northern hemisphere. (Tips for viewing Comet Lovejoy). Under dark sky conditions, astronomers claim it can be seen with the naked eye if you know where to look, and the chance of spotting it increases with even a low powered telescope or binoculars… “If you know exactly where to look.” However, if you’re not up to sitting outside on a dark winter night, don’t have a pair of binoculars or telescope, or aren’t sure of “exactly where to look,” might we suggest a different Comet for your viewing pleasure? 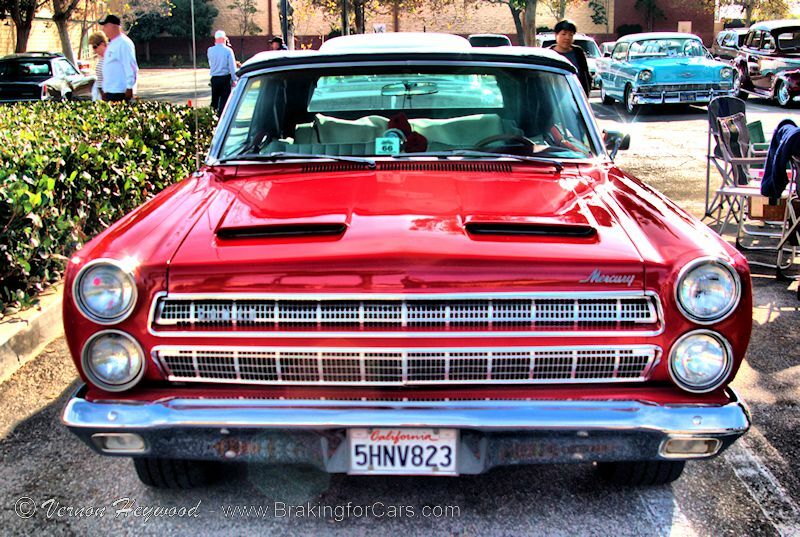 We don’t recommend admiring the 1966 Mercury Comet Cyclone GT streaking across the sky, in fact, if you do witness this event, we recommend taking cover…QUICKLY! (and then setting your video camera to record for a future installment of #CrashWednesday of course!). No, the Mercury Comet is best viewed on the ground, and while it might not be soaring amongst the planets, it is no less a heavenly body. 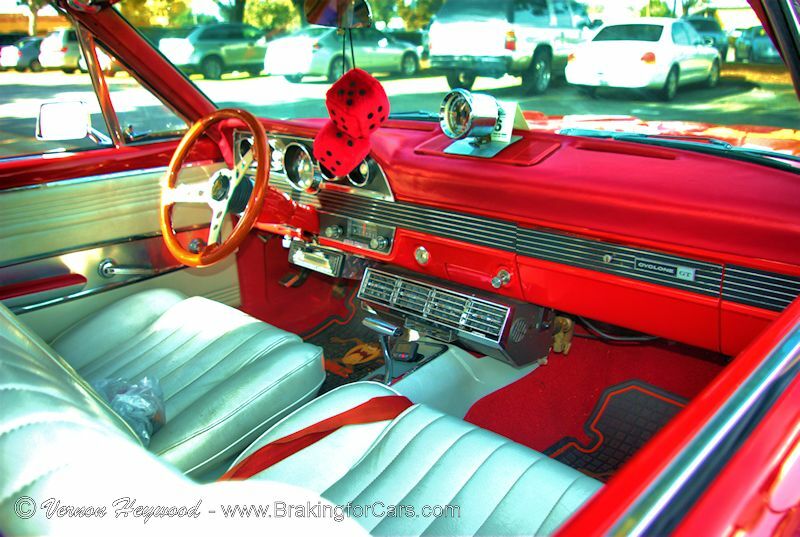 The interior of the Mercury Comet was more upscale than the Ford Falcon it was based on. 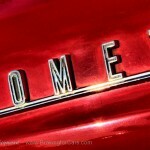 Originally based on the compact Ford Falcon, the Comet was first introduced in 1960, and sold through Mercury dealers sans the Mercury badge. 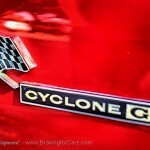 There was no badge, because it began life as an orphan since it was originally slated to be an Edsel, but was hastily transitioned to the Mercury line as Edsel went the way of the dodo. As a Mercury, the Comet received a more upscale interior than the FOrd Falcon. 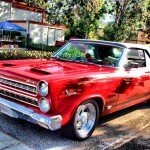 By the time 1966 rolled around, the Comet grew into a midsize car and shared its platform with the Ford Fairlane, which were both just longer wheelbase versions of the Ford Falcon. 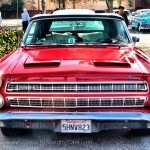 Despite the non-functioning hood scoops, the Mercury Comet Cyclone GT wasn’t exactly faking it’s performance capability. All Comets in 1966 packed a 390 cid V-8 under the hood, but the top of the line Cyclone GT’s 390 produced 335 hp, 70 more ponies than the base model which only produced 265 hp. So it was certainly no slouch in the muscle department. Adding more clout to its performance capabilities, a 1966 Mercury Comet Cyclone GT convertible was also chosen as the pace car for the 1966 Indianapolis 500. The Mercury Comet was available as coupe, a sedan, a 4-door station wagon, and a 2-door wagon. 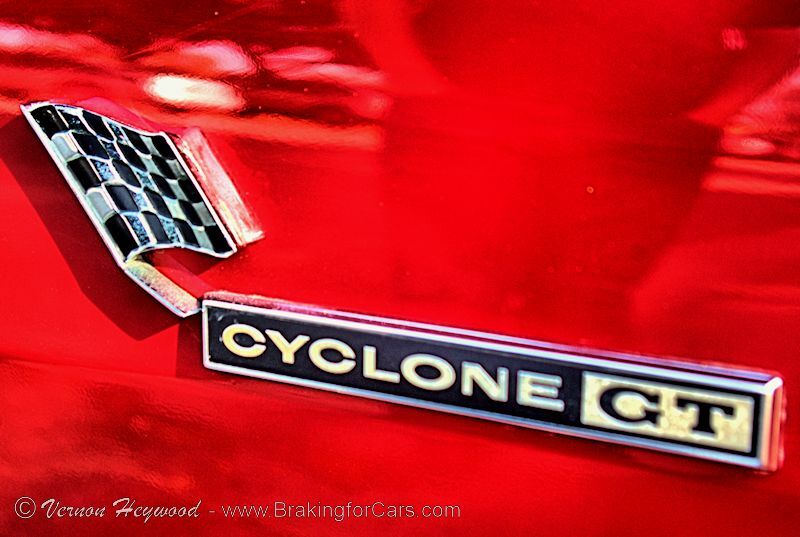 But we like it best as we spotted it at the Fuddruckers Classic Car Show on January 4th, 2015, the 1966 Cyclone GT convertible. 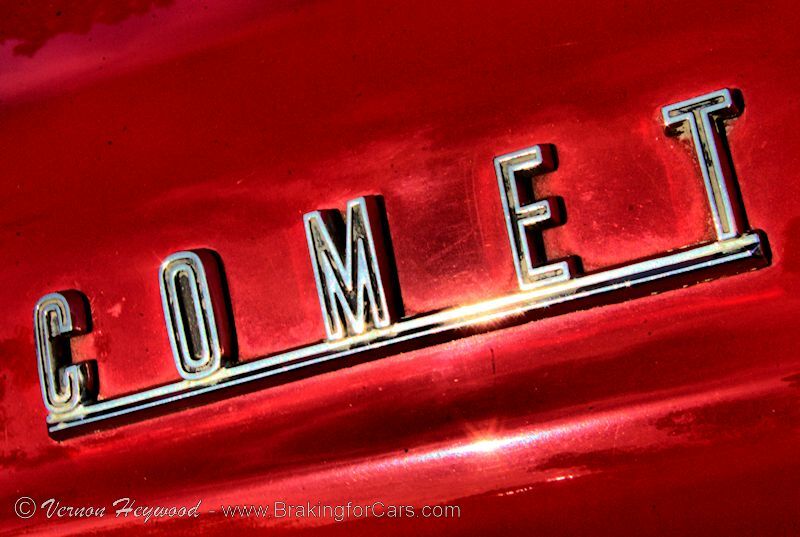 What better way to see the stars at night than cruising around in a Comet with the top down? Who knows, it may even take you someplace where you can see another comet, Comet Lovejoy for instance, and you can just might find yourself racing it to the horizon. But keep those wheels on the ground! 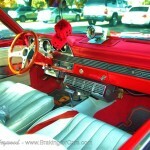 This entry was posted in Car Shows, Gallery, History, Model Spotlight. Bookmark the permalink.